Firstly, it is absolutely, 100% okay to have a backyard wedding. There are so many different ways to plan it and there are so many benefits to going this route, especially when it comes to your bank account. 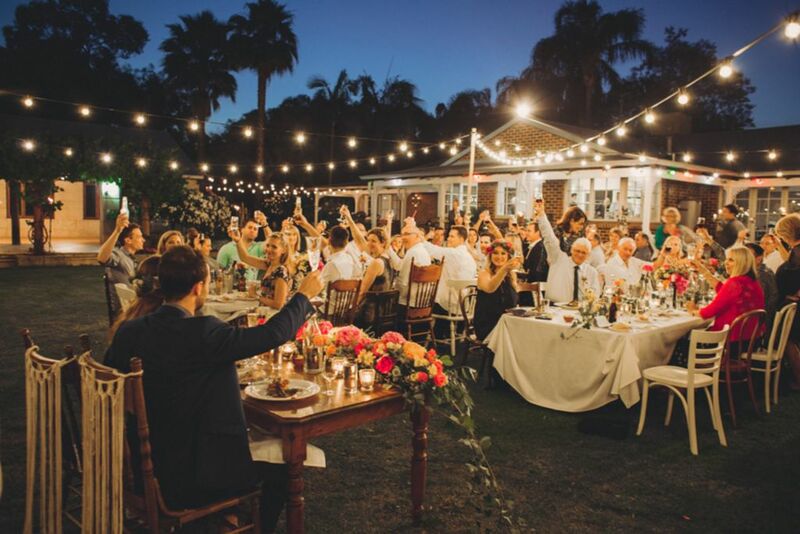 You may be limited within the realm of wedding guests and certain vendors, but we suspect that if a backyard wedding is on your mind, you’re looking for something a bit more casual and intimate anyway. Thankfully, there are so many different ways to pull this off and personalize it. So much for that, we’ve advocated for this idea before and even gushed about various themes you can roll with as well – which you can read all about here. 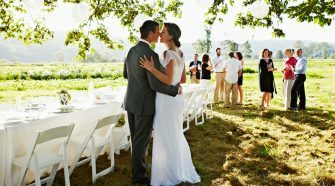 There’s a definite comfort involved when it comes to backyard weddings, not only in the home you’ve chosen but also in the styles that you can adopt. Farmhouse visions or garden parties all fit this kind of cozy venue choice. And you can still get assistance from a wedding planner, just ask around for some referrals and do your homework before choosing your go-to guy or gal. 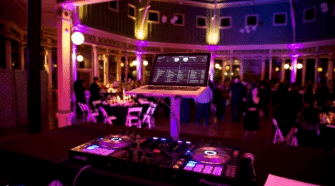 You want to make sure if you’re having an at-home event that the planner you hire is someone that has really good relationships with all kinds of vendors because that’s where he or she will come in most handy – locking in top-rated caterers, entertainment, rentals, etc, and doing it at the best price possible. 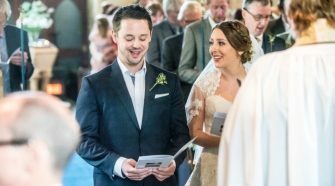 “My biggest piece of advice to anyone thinking of getting married at home is to go for it! It creates such an incredibly personal and intimate experience that you could never recreate somewhere else. 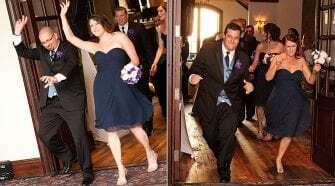 We weren’t just inviting everyone to our wedding — we were welcoming them into our home. It truly brought people together. “Our wedding was pretty much one giant DIY project. 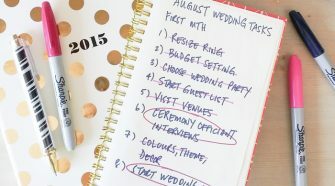 From the invitations and decor to the food and entertainment, we personalized as much as we could (without breaking the bank) by doing everything with our own four hands. A backyard wedding gives you the perfect excuse to include your pets in your big day! You don’t need to clear it with a venue or pay a deposit, your furry friend doesn’t need to stress over travel, and they can head back inside when they’re finished partying with your guests. When you decide to have a backyard wedding at a family member’s or friend’s home, you automatically slash your wedding budget dramatically because you aren’t paying for a venue, security deposits, per-person fees, and all the other hidden charges that go along with it. You can also save money on decor since you’ll have the natural elements to add visual interest. 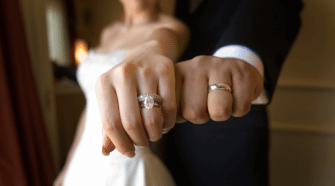 Yes, you’ll likely need to rent almost everything else, but those rentals will not outweigh the cost of a venue. 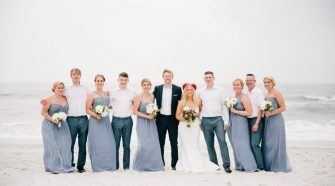 Should Guest Change Clothes When Wedding and Reception Are Hours Apart?